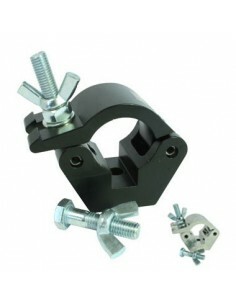 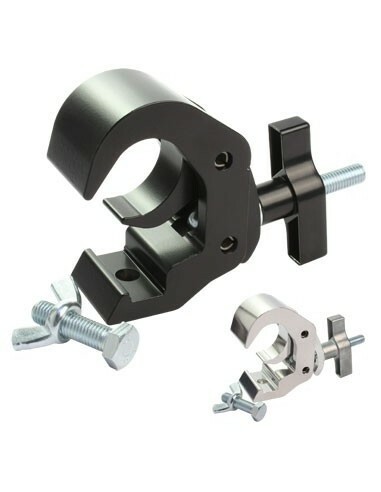 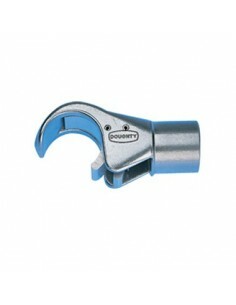 The Doughty Hook Clamp Coupler is supplied with a Wing Nut and M12 Bolt Fixing. 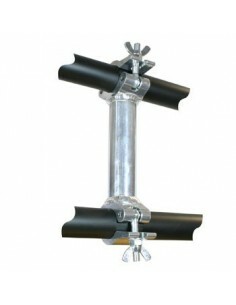 Ideally suited for use with large luminaries. 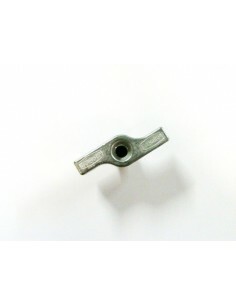 Manufactured from high tensile Aluminium Extrusion. 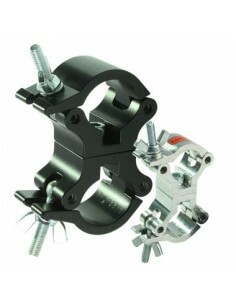 Available in Black or Polished Aluminium. 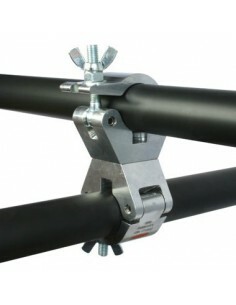 The Doughty Swivel Coupler provides a firm fixing between adjacent bars whilst allowing 360 degrees of movement. 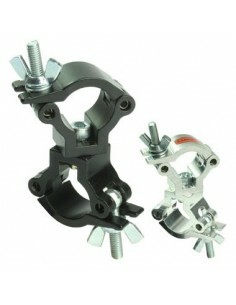 Manufactured from high tensile Aluminium Extrusion. 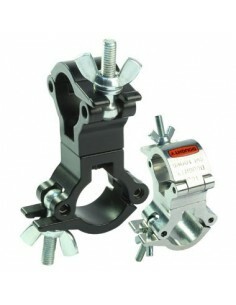 The Lightweight Doughty 90 Degree Fixed Coupler provides a firm fixing between two perpendicular bars. 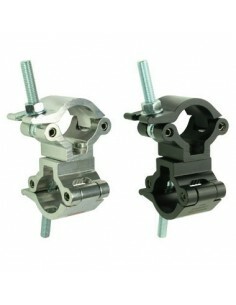 Manufactured from high tensile Aluminium Extrusion. 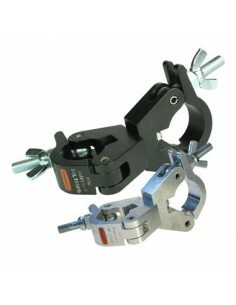 Swivel and Parallel versions are available. 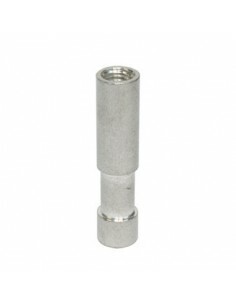 Available Polished Aluminium. 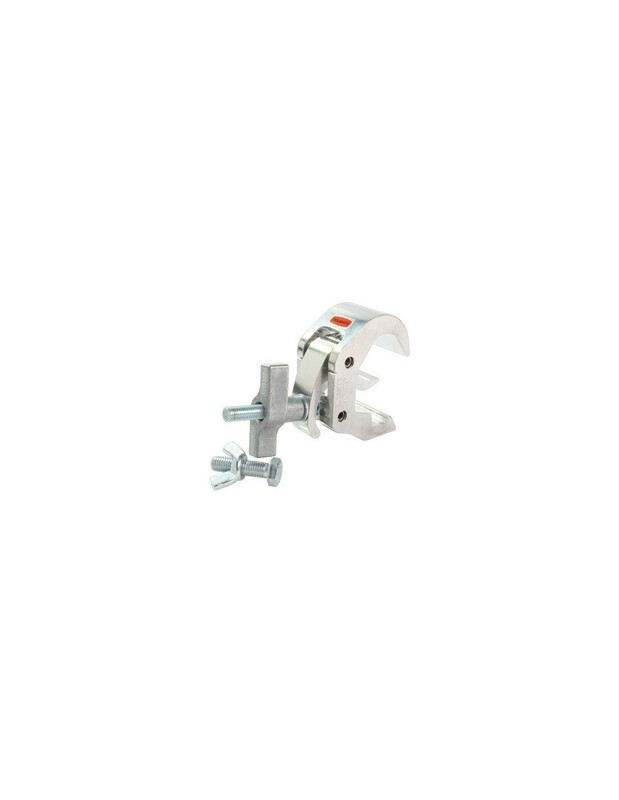 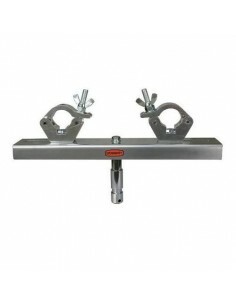 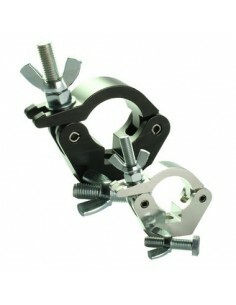 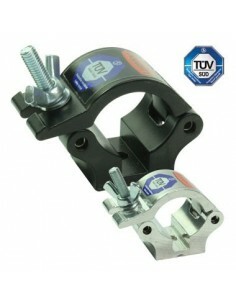 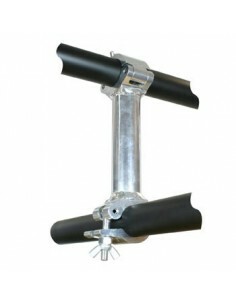 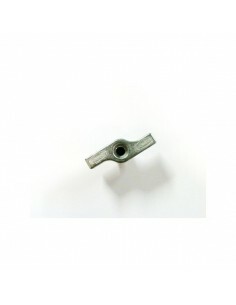 Suitable for cross bracing and suspensions where a firm fixing is required and a claw clamp is not appropriate. 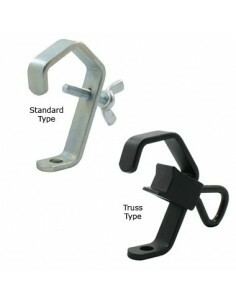 The fixed ladder truss adaptor is suitable for all ladder truss sections ensuring the truss is in the optimum position for maximum loading. 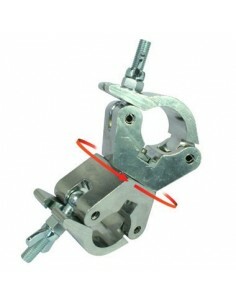 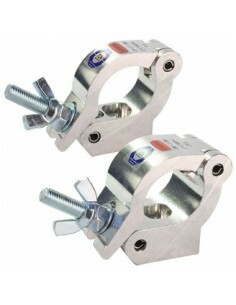 The Slimline Doughty Clamp Half Coupler is the Basis of the range of Slimline Doughty Clamps. 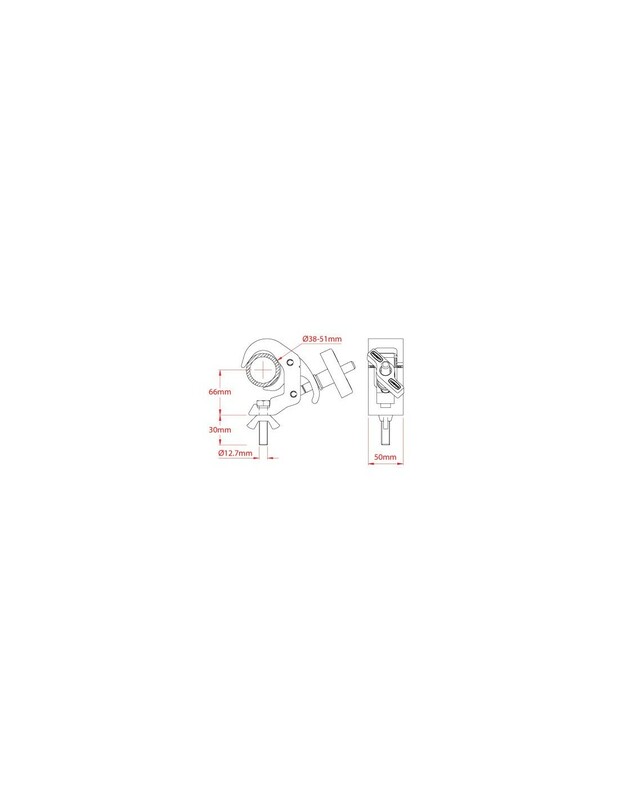 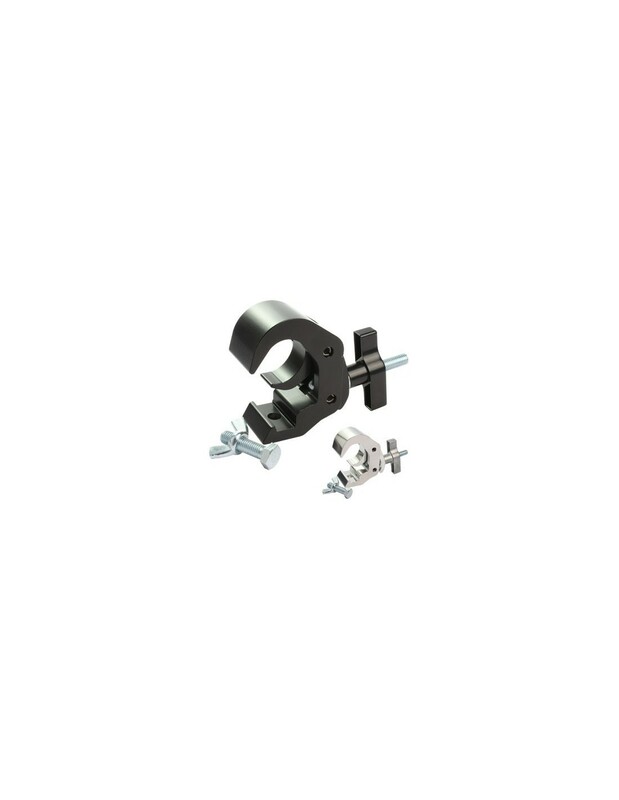 This Clamp has a slotted base to captivate an M12 Nut or Bolt enabling users to create fixings suited to their own individual requirements. 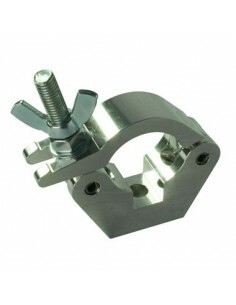 Manufactured from high tensile Aluminium Extrusion. 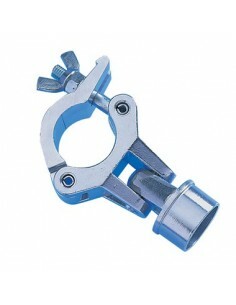 Pipe to Pipe Couplers provide a firm coupling between two parallel tubes. 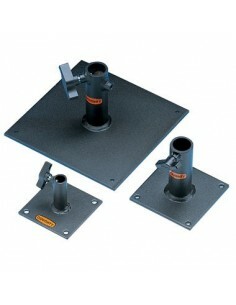 Standard sizes from 250mm –1000mm. 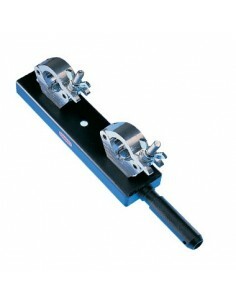 Special sizes available on request. 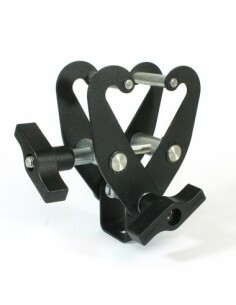 Available in black or polished finish.